Home » Decorating Resources -- Also note those subcategories in the orange navigation, above! 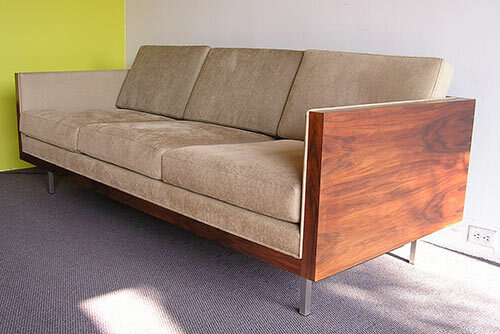 » furniture » Futurama Furniture — mid-century modern sofas used on Mad Men! Back in 1986, Jeffrey Perry was in the midcentury furniture resale business in Los Angeles, California when he noticed a sharp rise in the popularity of and competition for vintage furniture pieces. Seeing a niche that he could fill, Jeffrey started Futurama Furniture that same year, reproducing popular vintage styles with the same time-honored, quality construction techniques used to build the original pieces. Today after 28 years in business, the company is now an online only shop — creating custom furniture pieces for customers and Hollywood alike — with two of their couch styles featured in AMC’s hit TV series, Mad Men. 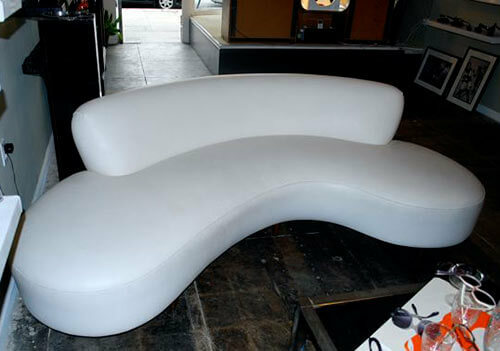 In my quest to learn more about Futurama Furniture, I interviewed Jim Cherry, company sales rep and wearer of many hats. Q. How long has Futurama Furniture been in business? Jeffrey Perry started Futurama at Sunset & Vine in 1986. Later, he moved to other locations with his longest tenure on La Brea Avenue. Q. If Futurama started in 1986, do you consider yourself one of the pioneers that brought midcentury furniture styles back to the furniture market? Jeffrey opened the very first mid-century vintage store in L.A., so I think it’s quite fair to call him a pioneer. I was living in NYC in the same era and acquired my first mid-century pieces (Eames chairs) at a store called Fifty-Fifty, the first such store in Manhattan. Q. Does Jeffrey make all the furniture himself? Jeffrey never built the furniture himself. He stared out selling mid-century pieces, then decided to have some classics reproduced. Same guys have built our pieces since–for 20 some years. Q. Tell me about the construction of your furniture — is it solid wood? Futurama Furniture is built with solid kiln dried hardwood frames and furniture grade plywood in certain areas such as some table tops and side panels as seen with veneers on our Boxy line. Plywood is a stronger, more stable wood for these applications. Q. I see you offer custom upholstery too. Is your furniture built using the same techniques and attention to detail as furniture makers from the 1950s and 1960s? Tell me about the process. 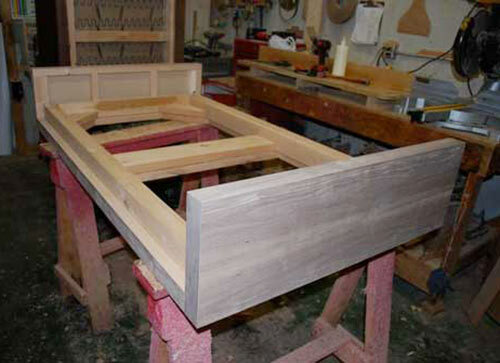 We basically copy the construction methods of classic pieces, not just their “look.” We use kiln dried hardwood frames. Steel springs. Nylon webbing. Quality foam and padding. We’re old school all the way. We use custom-made solid cast aluminum legs or solid wood legs. Our pieces hold up very well. We see them return to us after ten or fifteen years and a family has raised their children and worn out the upholstery, the frames and structure are always still strong and sound. Q. What made Jeffrey interested in starting to build this style of furniture? 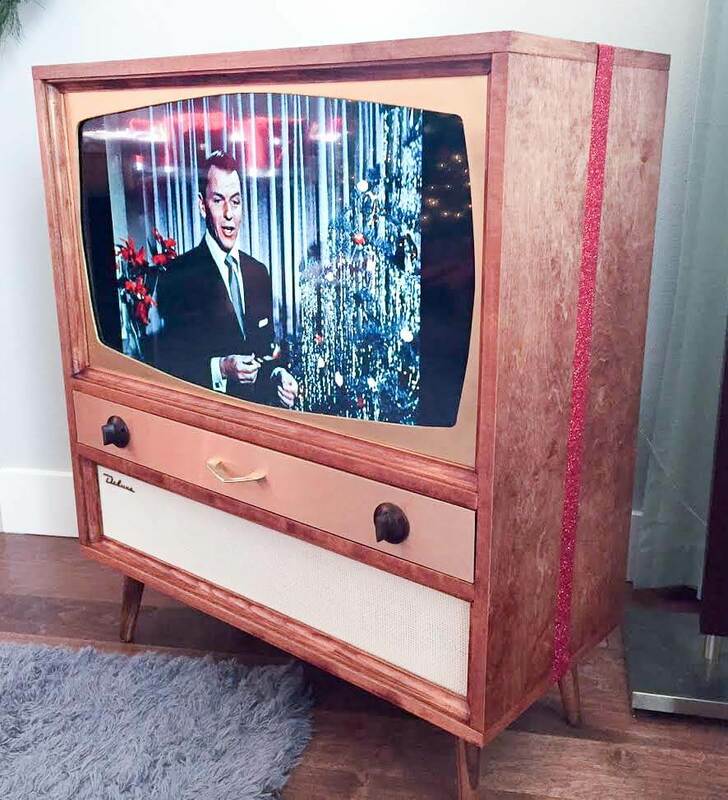 …Jeffrey started out selling estate sale and thrift store finds of mid-century pieces. After a few years, it occurred to him that certain pieces lent themselves to reproduction. It allowed him to free his business from a total dependence on finding new treasures to sell, especially as more and more people got interested in digging up mid-century pieces. 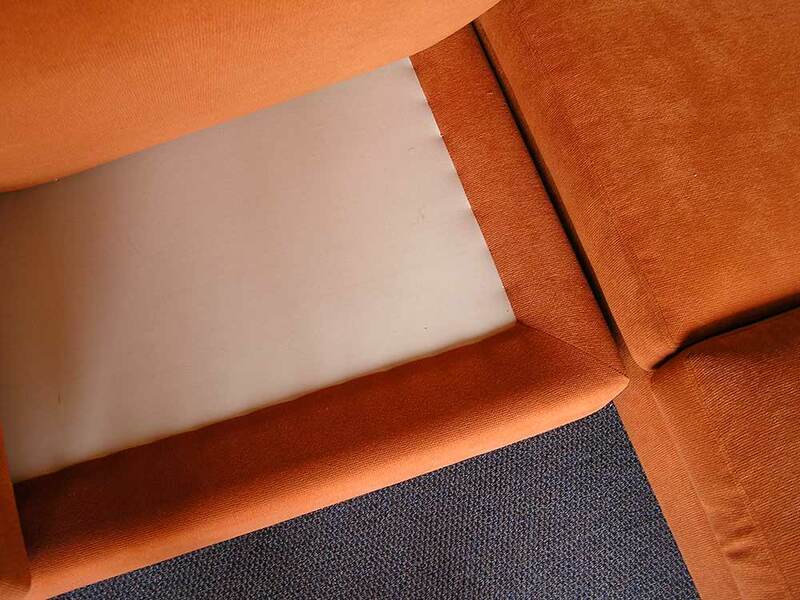 And it served a growing need for mid-century sofas, chairs and tables which became difficult to find and often needed restoration when they were. Q. I see that Futurama is now an online only store — what caused you to abandon your brick and mortar shop? 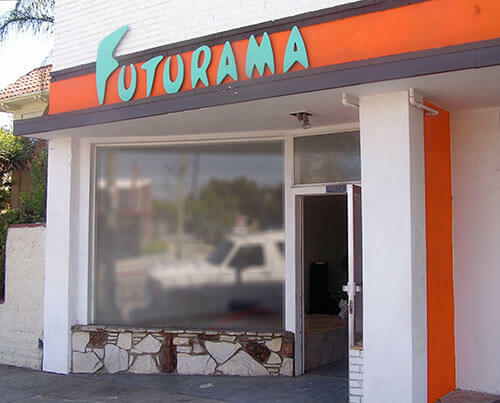 Jeffrey Perry, Futurama’s owner, had a bricks and mortar store from 1986-2008. He had tired of the retail shopkeeper’s life at the same time the building he was in was sold and he was forced to move. Then the financial crisis hit and furniture sales stopped cold. This was a perfect storm that inspired Jeffrey to return to the desert he loves and take the store online. Q. 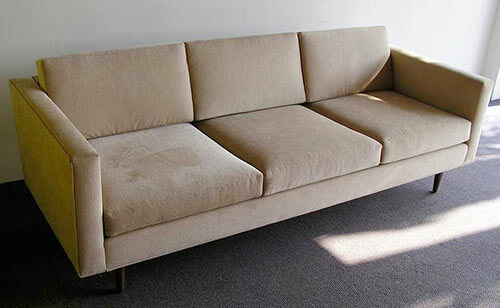 Do you sell your furniture through any local brick and mortar furniture showrooms? Q. Do you ship anywhere in the U.S.? We help our customers with their shipping. We have sent pieces all over the U.S. and some to Europe as well. Our value pricing makes our pieces price competitive even with shipping charges. I see your Boxy Sofa is featured on Mad Men — super cool! Thanks, it was fun to work with the studio set designers. Great people and we loved seeing our pieces in such a cool show. 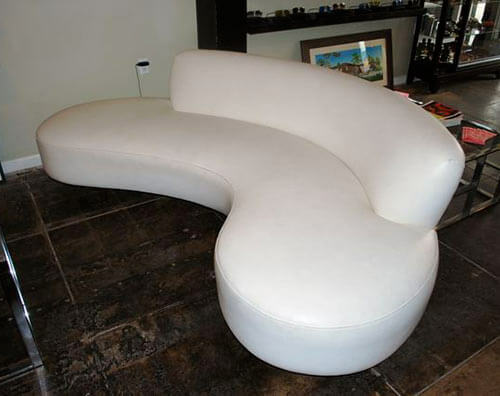 Futurama Furniture has several styles of sofas and chairs, a bed, desk and coffee table listed on their website — all of which can be customized to the size and upholstery of your choice. There are also additional styles available that you can see if you contact the company. Futurama’s furniture prices are very affordable, ranging from $895 to $1,950+ depending on the custom options you choose. Mega thanks to reader Wendy for the tip, and to Jim Cherry, company sales rep for answering my many questions! 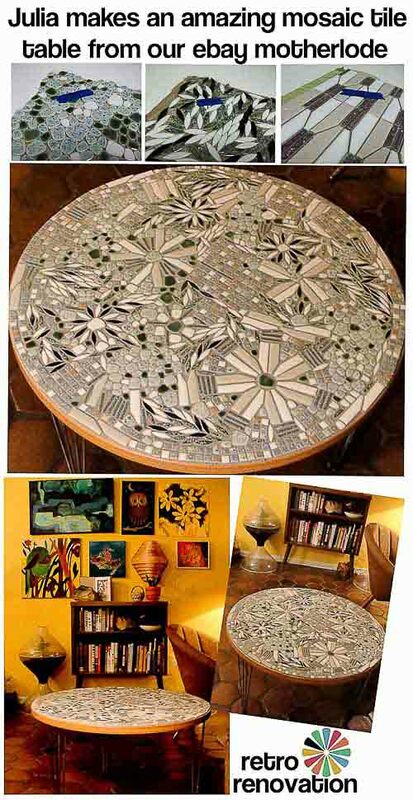 Oh my goodness, that coffee table is something special. Want. Oh yes, I agree! Something else to add to the wish list. As a proud owner of one, I can say it’s a must. As an excellent design it works very well even a not-so-edgy surrounding. This picture kind of doesn’t even do it justice. Long before Mad Men, I picked up his boxy sofa because I wanted something my cats were unlikely to scratch. I didn’t even know what MCM was. No regrets, his work is solid. I also have the coffee table shown above. I agree, great feature for cat owners! Would that my cats didn’t scratch wood as well as upholstery! This is lovely furniture, and I am going to pass the info on to a friend who is moving into a new MCM house. I’ve been trying to decide whether I want to get my Kroehler Galaxy sofa reupholstered or get a new sofa. The prices would be comparable, but nobody seems to make sofas with hand-tied springs anymore. It’s unclear to me whether or not these are. Help? Anyone?